Cuisine in New Orleans is an experience unto itself. Hyatt Regency New Orleans delivers on the culinary passion and traditions of the Big Easy with eight unique dining options that serve regionally sourced and inspired dishes. 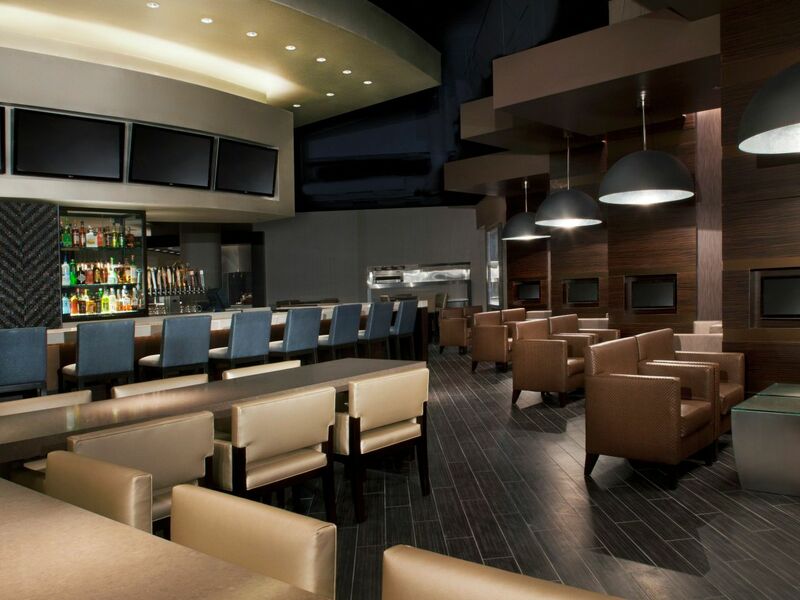 From our cornerstone restaurant 8 Block Kitchen & Bar, featuring a distinctive fusion of farm-to-table and traditional cuisine to the incredibly fresh seafood at Vitascope Hall, the craft of New Orleans cuisine is honored daily. For in-room dining, order in comfort 24/7. 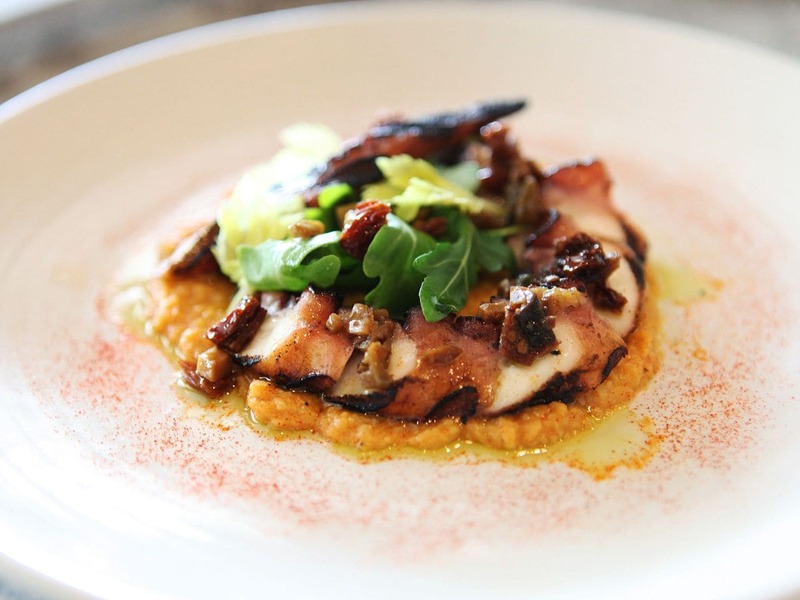 Savor coastal Louisiana seafood with a touch of Spanish influence in a casual dining setting. Borgne supports locally grown, sustainably sourced ingredients, while incorporating global flavors. Borgne is also home to the longest bar in New Orleans with over 70 craft beers and was a James Beard semifinalist: Best New Restaurant 2013. Daily: 11:00 a.m. to 3:00 p.m.
Sunday–Thursday: 11:00 a.m. to 9:00 p.m.
Friday–Saturday: 11:00 a.m. to 10:00 p.m.
Sunday–Thursday: 11:00 a.m. to 10:00 p.m.
Vitascope Hall is the place to unwind and continue the fun all at once with huge TVs for sports. 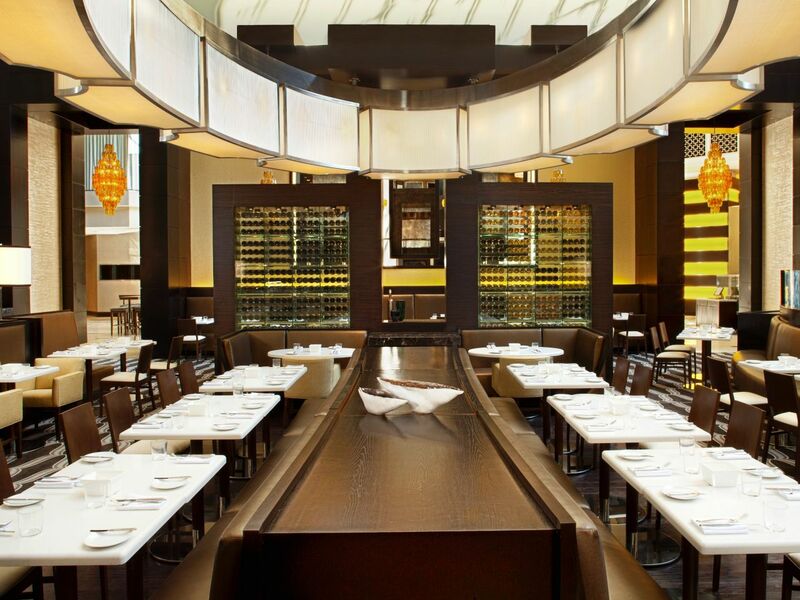 Enjoy the freshest Louisiana seafood, an exceptional raw bar, and stunning sushi. And relax with free valet parking for two hours and 15 percent off with your Champions Square or Smoothing King Center ticket stub from select events. Named after the blocks that make up Bourbon Street, this restaurant is the cornerstone of our dining options. 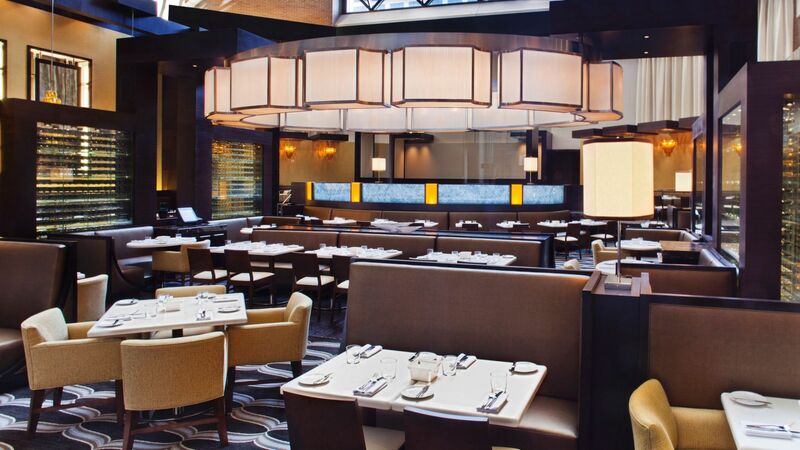 It offers an award-winning buffet of gourmet breakfast and lunch dishes and features a delicious fusion of farm-to-table and traditional cuisine. Explore our Executive Chef’s Ground Grits and Bits Pancake recipe featured in Men's Journal. Monday–Friday: 6:30 – 11:00 am . Monday–Friday: 11:30 a.m. to 2:00 p.m.
Monday–Sunday: 4:00 p.m. to 1:00 a.m. Try the best Neapolitan-style pizza in the Big Easy. Our master chefs bake each gourmet pie fresh with the highest quality locally sourced organic ingredients and specialty homemade dough made with Antico Molino Caputo flour. 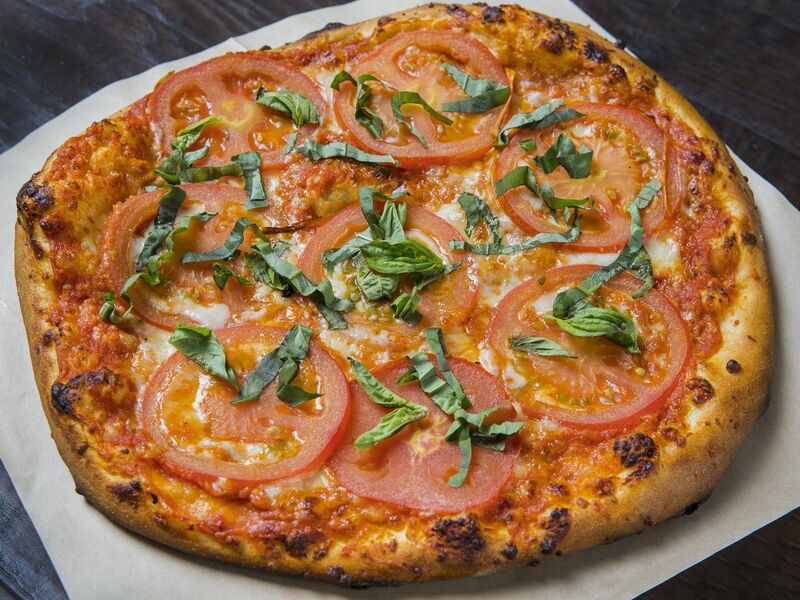 Enjoy a 12″ pizzas for $13.00 and 18″ pizzas for $18.00. A charge of $5 is applied to all deliveries. 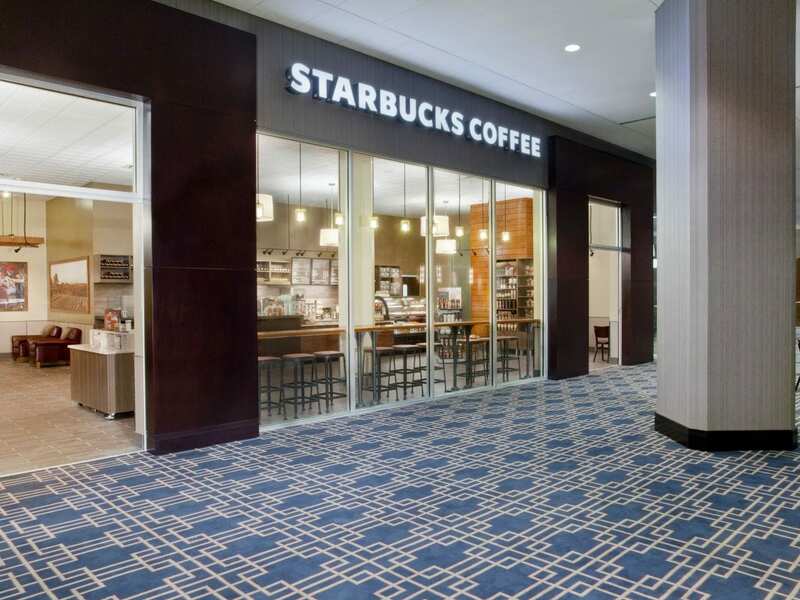 Conveniently located on the second floor, Starbucks® has the coffee, tea, or quick bite you’re craving. 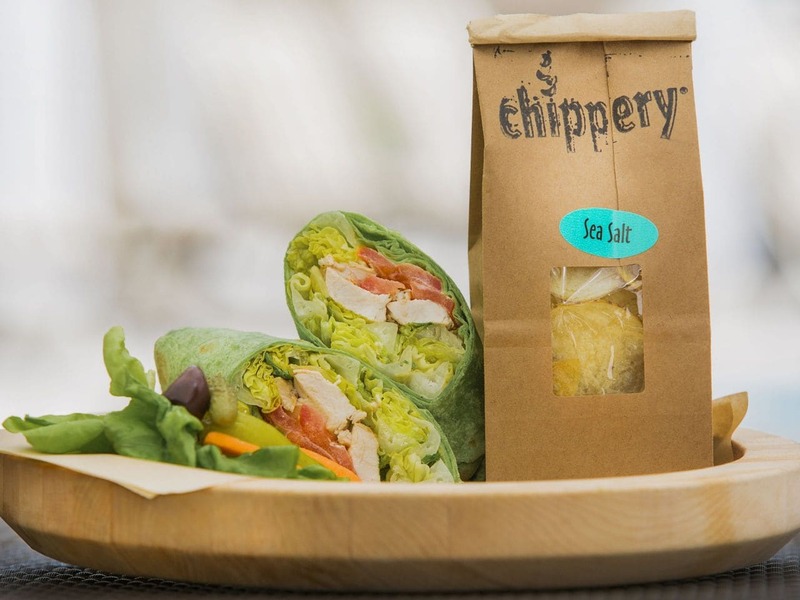 Pastries and sandwiches are made with high-quality, simple ingredients, so all the goodness you taste is real food. 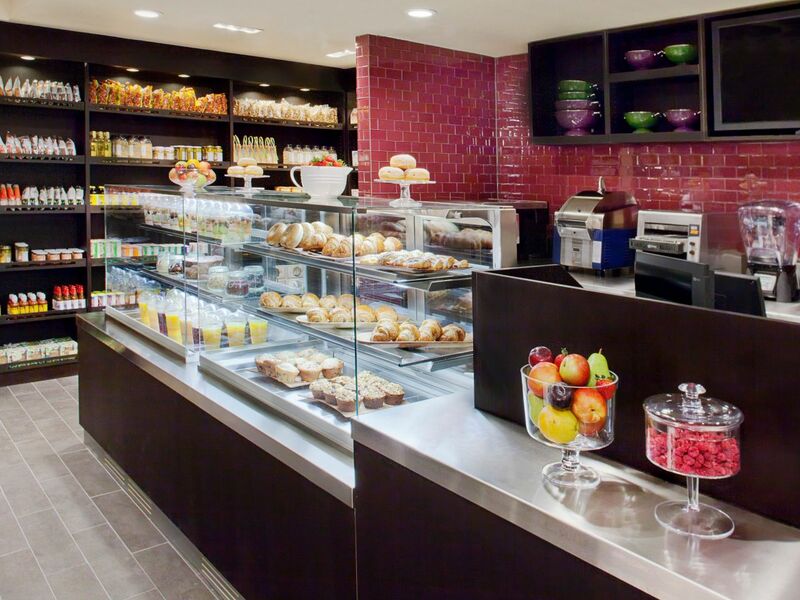 Grab items to go, or relax and surf the web with spacious seating and complimentary Wi-Fi. Monday–Friday 6:00 a.m. to 3:30 p.m.
Saturday–Sunday 6:00 a.m. to 2:00 p.m. In a town that never stops, our fresh market and gift shop is open late seven days a week to keep you going. Whether you forgot sunscreen, want a book to read poolside, need a late night snack or early morning refreshment, or are looking for the perfect souvenir to take-home, we have you covered. 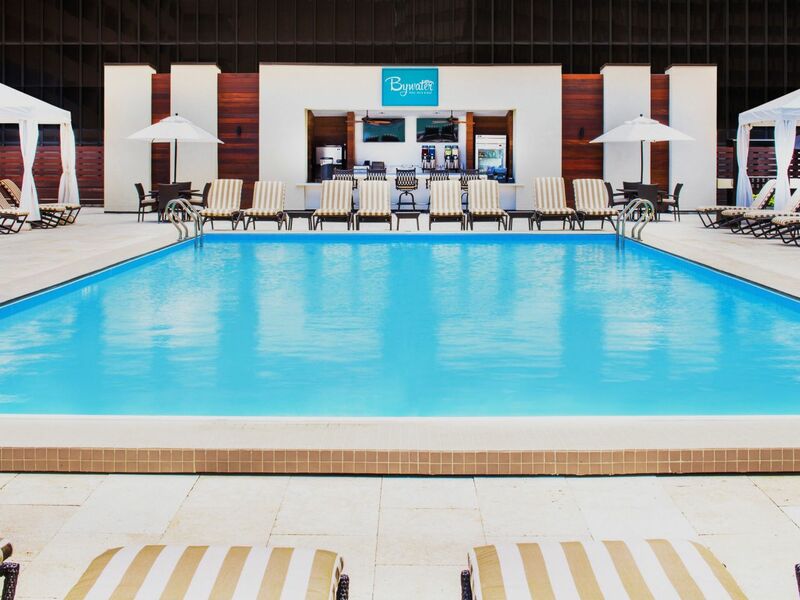 Sunday–Thursday 6:00 a.m. to 11:00 p.m.
Friday–Saturday 6:00 a.m. to 1:00 a.m.
Bask in the sun with panoramic views of the Big Easy from the pool or a private cabana. Food Service is available seasonally from our 601 Delivery menu. Our chefs at this wholesale bakery are passionate about making fresh scratch-made breads using the highest quality ingredients, flour imported from Italy and France, and innovative techniques. This rustic-style bakery kneads dough every four hours and offers everything from baguettes to pretzels. Experience our anytime food delivery service with a huge menu from five of our restaurants and more menu options than you’ll know what to do with. Order on your mobile device at neworleans.hyattservices.com from the pool or on a walk around the city. Order before you arrive, or use our 20 minutes or less Crave Menu. The options are endless.